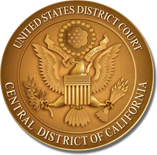 In July 2014, the United States District Court for the Central District of California implemented a Limited-Scope Representation Pilot Program (“Pilot Program”). The Pilot Program enables judges to appoint volunteer attorneys for limited-scope engagements on non-prisoner, pro se, civil cases. Pro bono attorneys will have the opportunity to perform discrete, specifically defined tasks such as representing a pro se litigant during a settlement conference, filing an opposition to a dispositive motion, or appearing at a deposition. Such limited representation aids both the Court and all litigants in the case by clarifying the issues to be adjudicated, facilitating resolution of the case, and promoting just and fair adjudication. Pro bono participation in this program is especially appealing to law firms with associates desiring immediate federal litigation experience.